If you'd like to see if 100% Beef Concentrate (Almond chocolate) contains substances that are banned by your sports organization's Banned Substance List, sign up now or log in. Declared Ingredients Protein, salt. 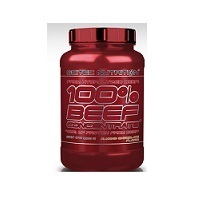 Ingredients: Hydrolyzed Beef Peptide Protein, Maltodextrin, Flavors (Chocolate, Almond), Cocoa Powder (10-12%), Emulsifier (Soy Lecithin Powder), Dextrose, Sucrose, Sodium Chloride, Thickener (Xanthan Gum), Sweeteners (Acesulfame K, Sucralose). Have a question about 100% Beef Concentrate (Almond chocolate) Use our secure online messaging system to ask our Aegis Shield Experts.